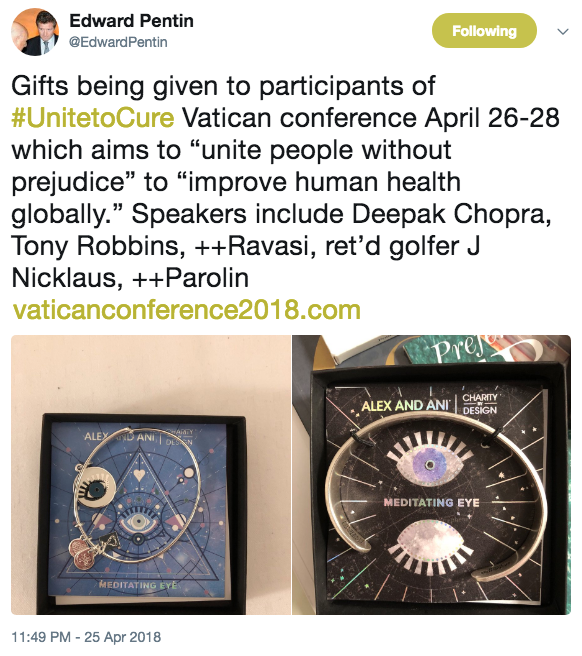 The Vatican’s ‘Unite to Cure’ Conference is the gift which keeps on giving. On Saturday, Dr. Oz (Mehmet C. Öz, MD) gave a talk followed by a discussion with Max Gomez, PhD, and Monsignor Dario Edoardo Viganò. The presentation was laughably titled, ‘Fake News and the Ethical Responsibilities of Media’. Dr. Oz is a surgeon who plays a doctor on television for Oprah — a queen of fakery. He is so well known for giving fake medical advise on his television program (less than 33% of his recommendations can be backed up by even modest medical evidence & 40% of his medical advice appears to made on the basis of no evidence at all) that a paper has been published in the BMJ (British Medical Journal) on this very topic. Also participating in the discussion was Max Gomez, another television doctor who does short stories for the New York City news and the national news as well as often cites medical studies which cannot be replicated in these stories as factual. For a randomly picked example of his style of fake news see the video below. 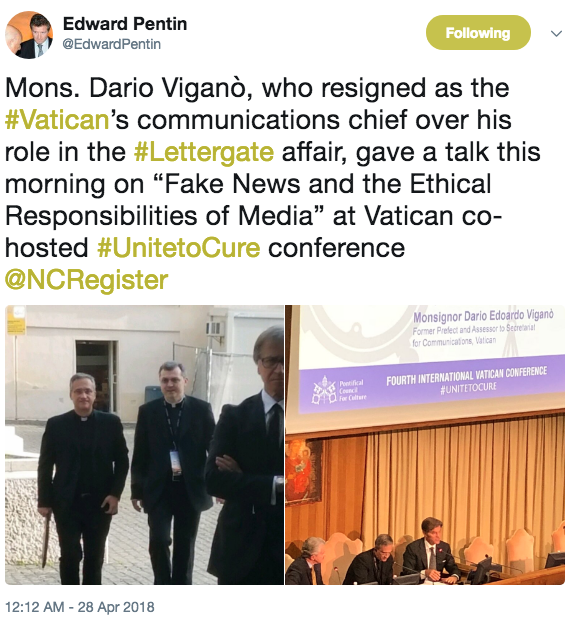 Next we have the infamous head of the Vatican’s #FakeNews department, Monsignor Dario Edoardo Viganò, on the panel to discuss “ethics” and “fake news” with Dr. Oz. Sadly, he doesn’t mention his first hand experience in creating #fakenews with his role in the Vatican’s #lettergate scandal. And to top it all off, this discussion take place at a conference that is supposed to be scientific. As we wrote in the title, someone has a sense of humor at the Vatican. Absence of pupillary response to bright light in both eyes. Usually the pupils are fixed in midsize or dilated position (4-9 mm). Absence of ocular movements using oculocephalic testing (only when no fracture or instability of the cervical spine or skull base is apparent or may be suspected clinically) and oculovestibular reflex testing. Absence of facial muscle movement in response to a noxious stimulus. Absence of pharyngeal (gag) and tracheal (cough) reflexes. If a patient fails these tests the doctors then perform an Apnea Test in which they take the patient off the respirator to see if he or she can breathe on their own. Failure to do so is being ‘brain dead’ and makes the patient a prime victim to be murdered so that the doctors and hospital can make further money off of the victim — all in the name of saving lives. Talk about not being honest in your profession as a reporter or doctor! For those interested in a more in depth discussion on ‘brain death’ and ‘organ donation’ we highly recommend the work of Dr. Paul Byrne who has spoken at the Vatican on the topic and the Life Guardian Foundation. An introductory video on this subject can be watched by clicking here. Now we turn to Dr. Oz’s presentation on #fakenews and the discussion which took place after his talk. Dr. Oz has a wide definition of what constitutes #fakenews and shares his un-scientific fake study on #fakenews as if it’s scientific. For some reason Dr. Oz exempts himself as a member of the lame stream media and as a broadcaster of #fakenews. He wants to clamp down on unapproved news sources such as blogs like Call Me Jorge.... He, the other doctor, and the monsignor come across as upset that the mainstream media is losing control of what constitutes as news. Unhappy they have lost their monopoly they recommend creating a bureaucracy which they will oversee as gatekeepers to see that #fakenews can no longer exist. They say that #fakenews is malpractice and can harm people — as if they are victims of #fakenews and never the spreaders of it. Monsignor Dario Edoardo Viganò one of the Vatican’s creators of Francis #fakenews towards the end states that Adam and Eve lying to God in the Garden of Eden was #fakenews. This is the pot calling the kettle black. They all agreed that one should have a sense of healthy skepticism (yes this is good) and then claimed to be able to sift through data to see if it is true or not. Medical doctors are not statisticians and in general should get a F in this field. This is far worse than the blind leading the blind, for the road to hell is paved with good intentions, and all three of these clowns believe they are the truth when they are the spreaders of #fakenews. Watching the three one gets the sense that they are dinosaurs in the tar pit grasping at straws. 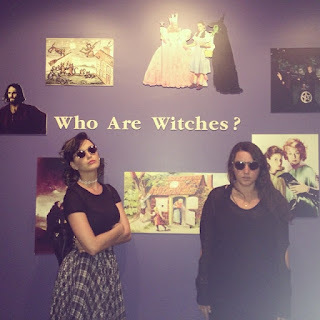 Did Francis know he was in the presence of a witch? Probably not because he didn’t ask to her to put a spell on him. 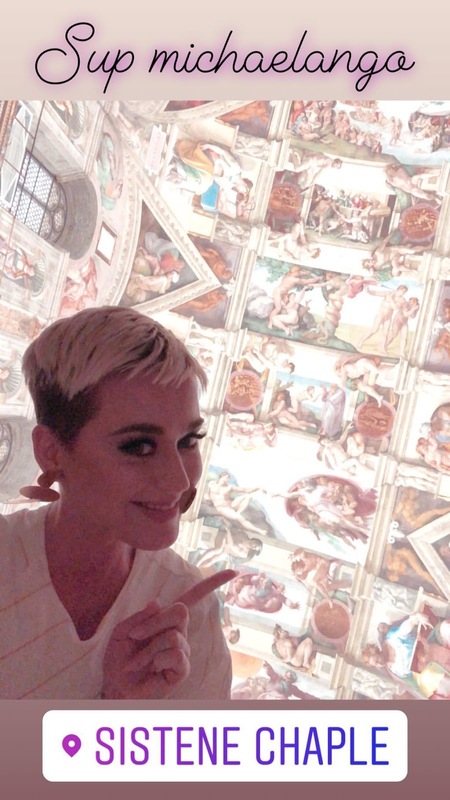 The pop star Katy Perry (Katheryn Elizabeth Hudson) was at the Vatican with her confused ‘darling’ actor paramour, Orlando Bloom — who thought he was Jewish as child, but was raised in the Church of England, and now professes to be a Buddhist. The cohabitating couple, Orlando and Katy, are both divorced from their spouses. Perry is the daughter of two Pentecostal pastors — Mary and Maurice Hudson, who are born again Christians. She’s recently been in the media for her purchase of a former convent and the legal fight the sale has caused. 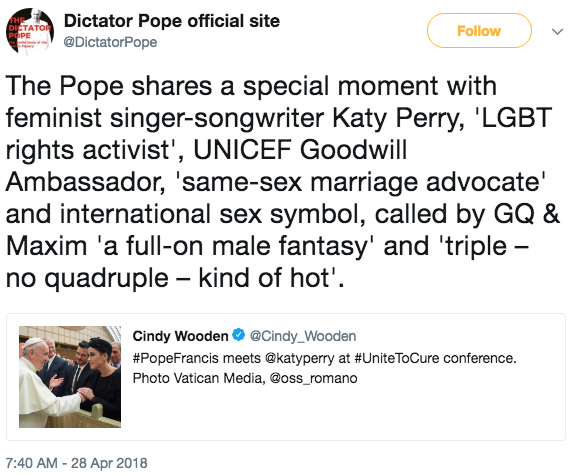 The reason for Katy’s appearance at the Vatican? To share with the world the benefits of Transcendental Meditation (TM) at the Vatican’s ‘Unite to Cure’ Conference. We briefly touched in a post earlier this week how the Vatican is using the cover of science to push Eastern pseudo-mysticism and New Age spirituality instead of the message of Jesus the Christ. Katy’s visit is another example of this, as can been seen below from some of her social media postings, and one of the last people who should be speaking at the Vatican on anything other than how she sold her soul to the devil. One would expect if Transcendental Meditation (TM) is being pushed at the Vatican’s ‘Unite to Cure’ Conference that the Eastern Orthodox’s Hesychast navel-gazing would be as well since they both have roots in the Kabbalistic chanting rituals of Abraham Abulafia. In 2014, Katy walked in ‘The Salem Witch Walk’ and practiced love magic. not permitted but Francis’ VIPs play by different rules. 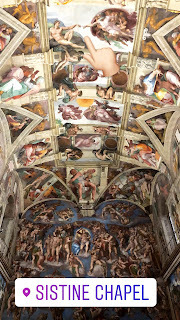 A flash photo in the Sistine Chapel is a no-no unless you are a witch. 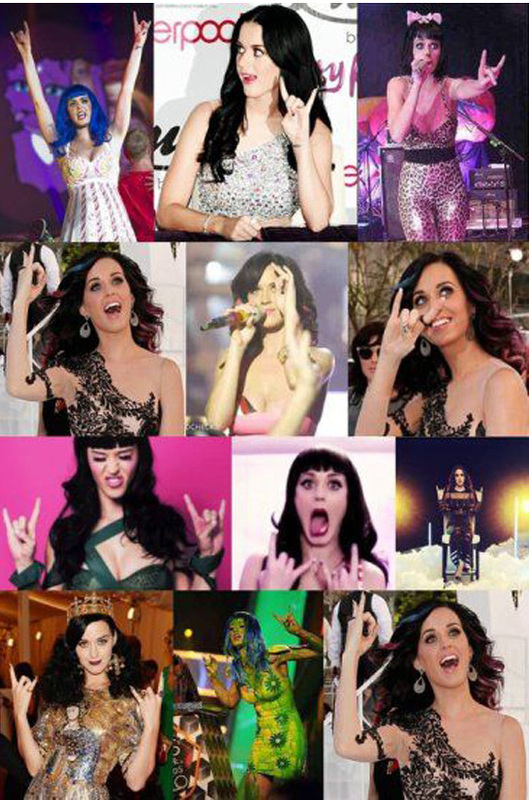 Katy showing whose side she’s on. 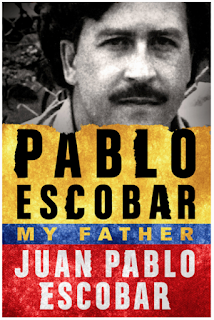 According to Juan Pablo Escobar Henao (aka Sebastián Marroquín), the son of Colombian drug lord and narcoterrorist Pablo Emilio Escobar Gaviria, his mother arranged for his fiancé (María Ángeles Sarmiento) and he to marry in a Catholic ceremony outside a Catholic church even though church law in Argentina forbid it. The facilitator who mad it happen was none other than the bishop of Buenos Aires — Jorge Mario Bergoglio. 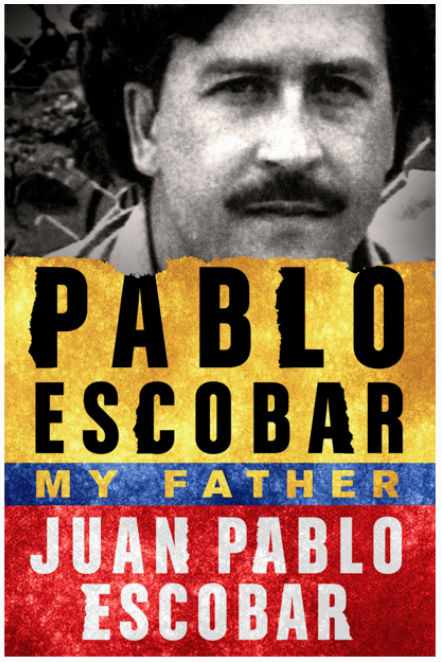 source: Pablo Escobar: My Father by Juan Pablo Escobar, ebook (2016), p. 349.
gloria.tv, "The favor of Card. 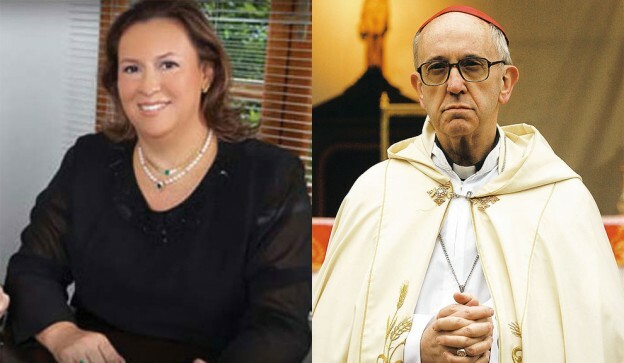 Bergoglio to the widow of Escobar"
Edward Pentin tweeted a tweet (see below) out yesterday. It is about the gifts being given to the participants Vatican Conference, ‘Unite to Cure’ and reveals that pseudo-scientist, Deepak Chopra, and Self-Help and Actualization Movement motivator, Tony Robbins, will be speakers. While a good portion of the conference seems to be about the use of adult stem cells in chronic diseases why are they having celebrity gurus such as these address the participants? 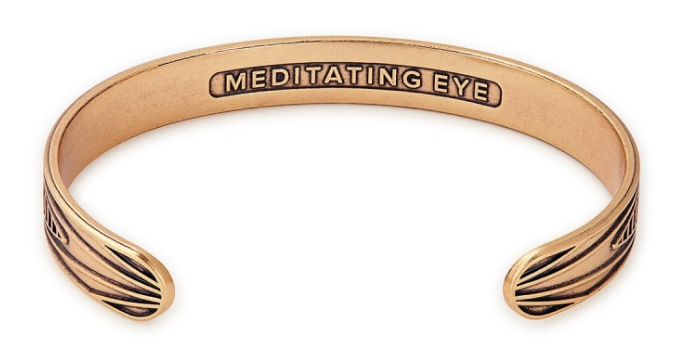 Why also the push of eastern pseudo-mysticism with the all-seeing eye? 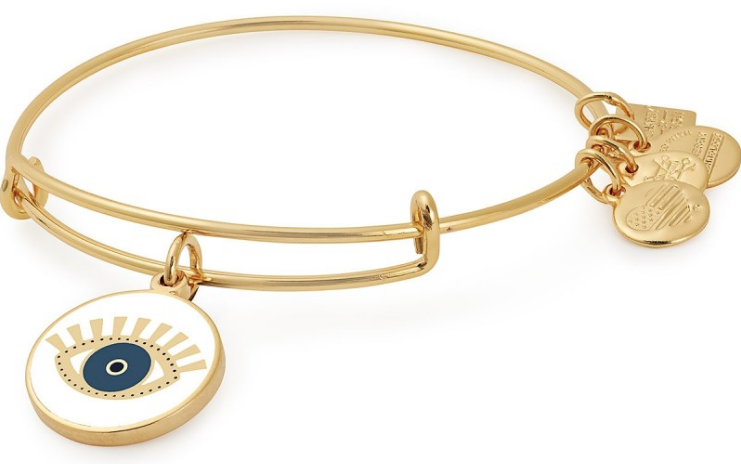 Text accompanying the Charm Bangle & Men’s Cuff. Meditating Eye Color Infusion Charm Bangle — Cost $42.00. 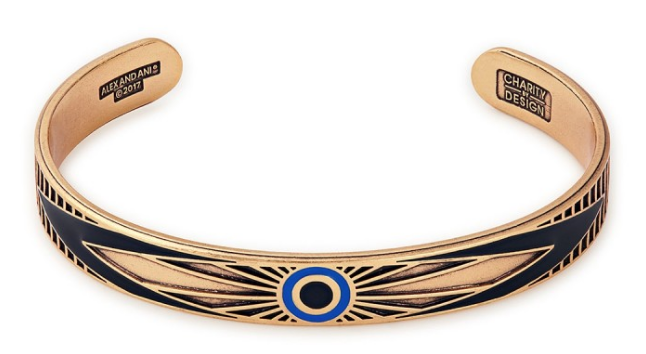 Notice the all-seeing eye — as above. 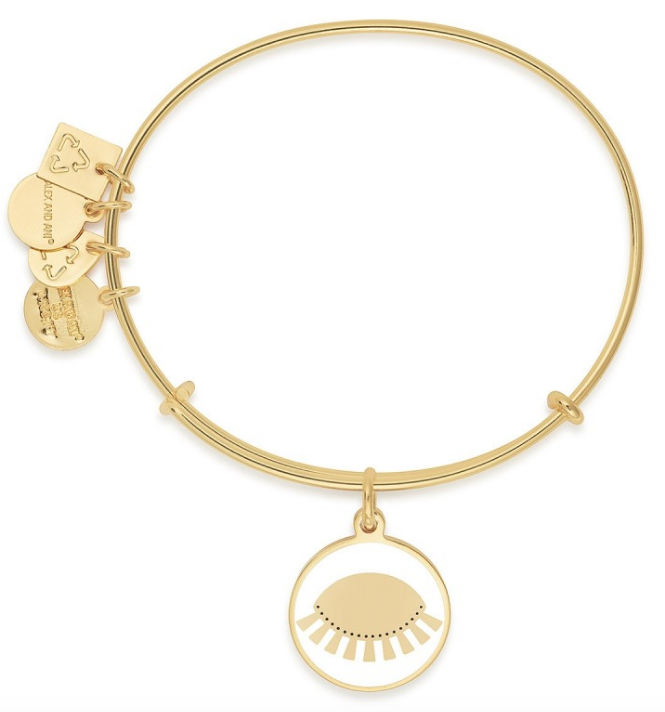 The all-seeing eye — as below. Plus recycle charms and other charms. 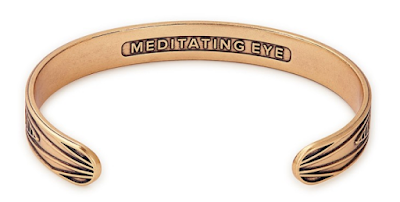 The meditating eye, not the Eye of Providence or the Eye of God. 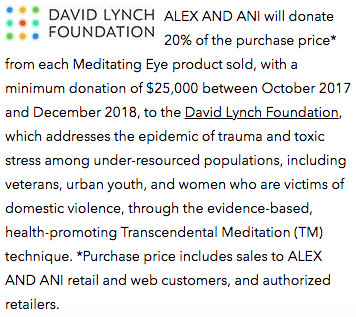 The company which manufactures the jewelry, Alex and Ani, donated 20% of the purchase price to a foundation which teaches Transcendental Meditation (TM). Why couldn’t the Vatican have given out Rosaries as gifts, or saints medals, prints of famous Saints, religious books, anything that doesn’t smack of New Age spirituality or Eastern pseudo-mysticism? Catholicism and science mix but the New Age and Eastern Orientalism are incompatible with both. 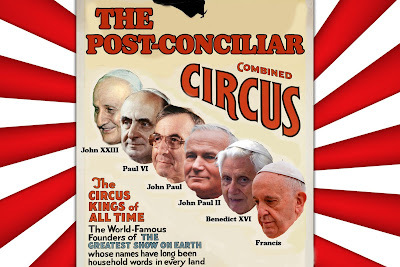 Intermingling the two with science and Catholicism will result in one-world despotism. For those unfamiliar with adult stem cells, a brief video to introduce you to the subject and its incredible potentials. Fr. Hélcio Vicente Testa, a Redemptorist priest, in the parish of São Geraldo Majella (archdiocese of Sorocaba, in Sao Paulo, Brazil) made a complete mockery out of Benediction during the Easter vigil. ** A halachaic law permitting the harm, up to killing, of a person who is “persecuting” others and putting them in danger. **** Wallas is here quoting Haman’s order for the extermination of Jews, Esther 3:13. Influential rabbi teaches would-be Israeli soldiers: Genocide is a mitzvah, Mondoweiss, (17 April 2018), English translation by Yossi Gurvitz. video source: The morality of war and the injury to those not involved during war, Bnei David website, Military Ethics and Relations between Nations, Issues in Torah and State. Francesco Guccini - Dio è morto (English translation), Lyrics Translate, (16 March 2016). Simply, the type of person a pontiff would want to meet with. It’s not like Francis is causing scandal to the faithful or the young. 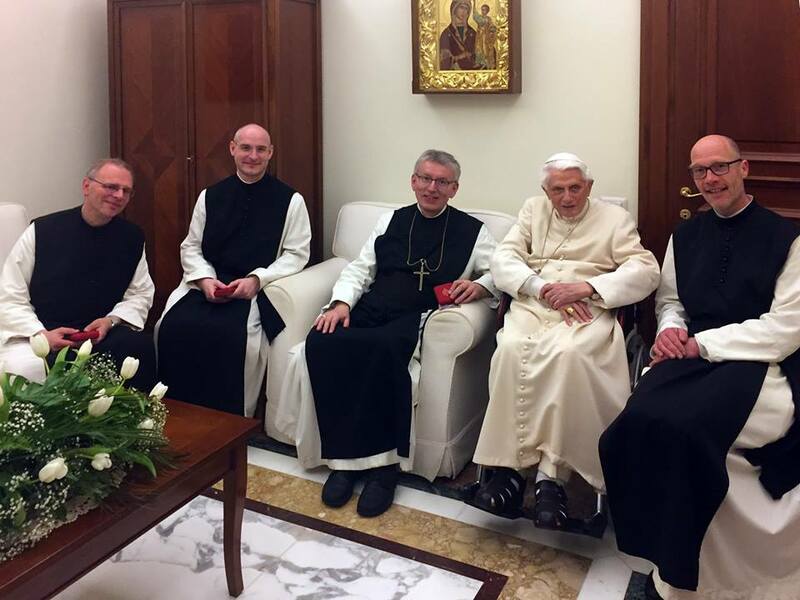 Francis the ‘humble’ dictator is just continuing in his shunning of traditionally minded music and acceptance of purveyors of filth (Patti Smith and Suor Cristina are two that come to mind) whom he has had as guests at his general audiences. 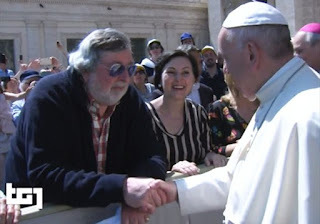 Guccini has also stated publicly that Francis’ best attributes are his, “profound simplicity” and his “honest consistency.” So we have an agnostic anarchist singer who declared, “God is dead” in his most famous song and that “God will rise again” when anarchy and chaos create the world that they, “believe”, “want”, and “build”. It’s not a stretch to infer that in Francesco Guccini’s mind, Paul VI helped kill God and Francis is building the world that anarchists and agnostics want therefore he is bringing God’s resurrection (spoken of in the song) one step closer. At heart, it’s the Lurianic Kabbalah’s ‘tikkun olam’ or the repairing of the imperfect world which was created by God. How blasphemous, heretical, and modernist! 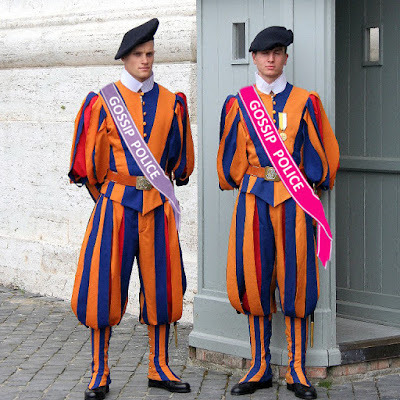 The Vatican’s Swiss Guard wants you! 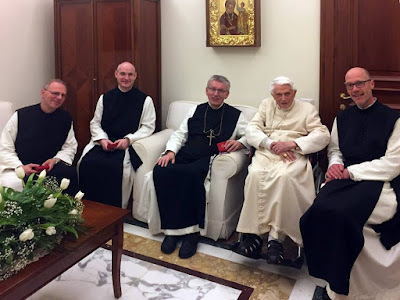 Pope launches alarm, tells Vatican security force to be 'gossip police', Catholic News Service, (30 September 2014). Francis tells Vatican security their mission is to combat gossip! Contact the Swiss Guard and let them know you want to combat gossip! A pixel, web beacon, web bug, tracking bug, tag, page tag, tracking pixel, pixel tag, 1×1 gif, ofd clear gif is an important part of the internet which is abused by companies such as facebook and google. Most users of the internet are as unaware of how it functions, as they are of how an elevator operates. As long as they can push a few buttons and get the outcome they want, they never think of what is happening underneath the surface. The last time we at Call Me Jorge... sat down and calculated how much a facebook account should cost per year it was in the ballpark of around $700. In other words would you want to pay $700 for using facebook a year? 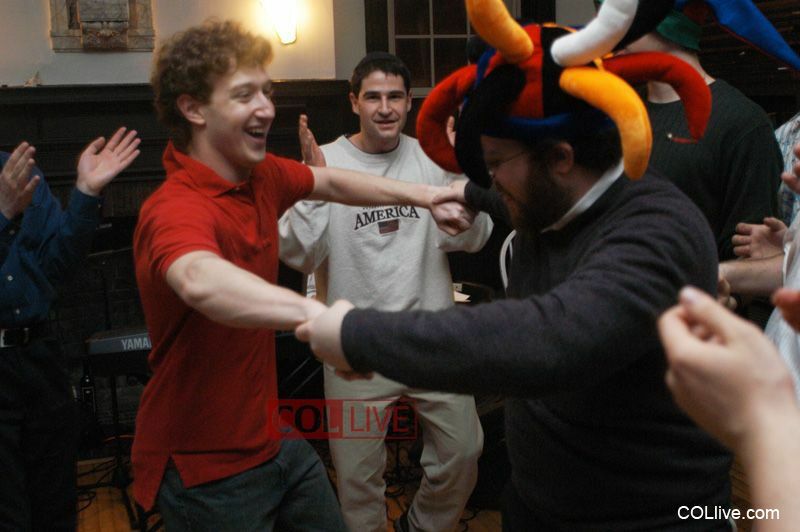 So how does facebook remain free? Simply by building up files on anyone (via the pixel), even if they do not have a facebook account, who uses the internet and selling that data. There is no such thing as a free lunch. You are the end product living in a panopticon. Francis has met with several high tech heads (including Mark Zuckerberg) at the Vatican and formed partnerships with them. 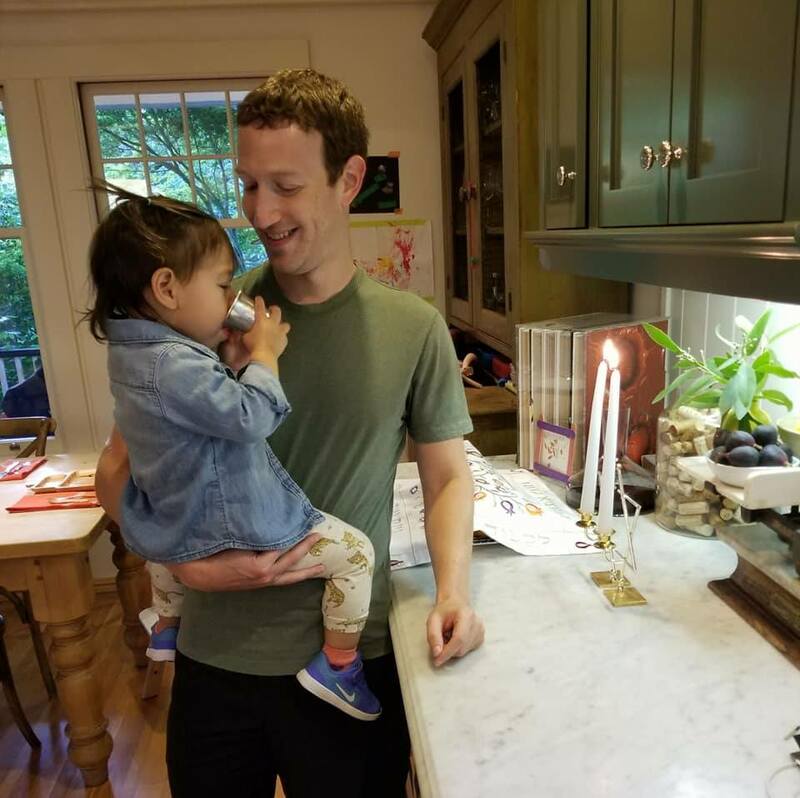 All that was made publicly available about Francis’ meeting with Mr. Zuckerberg is that Mark wants to bring the internet to the ‘peripheries’ in the name of the ‘greater good’ and Francis shares this goal. Zuckerberg and Facebook have lobbied through his sister, Randi Zuckerberg, for the abolition of anonymity on the Internet in the name of saving children because of the plague of cyber-bullying that’s run amok the world over. You can’t make this garbage up. 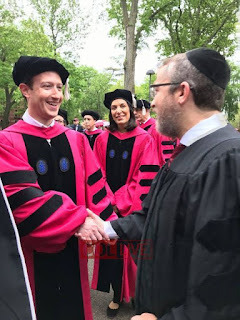 Below are three videos from Zuckerberg’s congressional questioning, photos from Zuckerberg’s social media and the internet which show Zuckerberg’s practice of Talmudic Judaism as well as his connection to the Chabad-Lubavitcher master race cult. 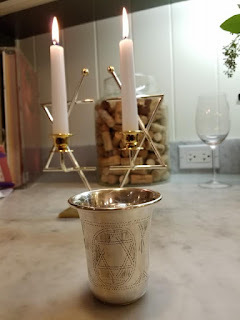 We have copy-and-pasted the posts below for posterity’s sake but would rather have you read them at Mr. Denninger’s website, Market Ticker, and support his blog by doing so. 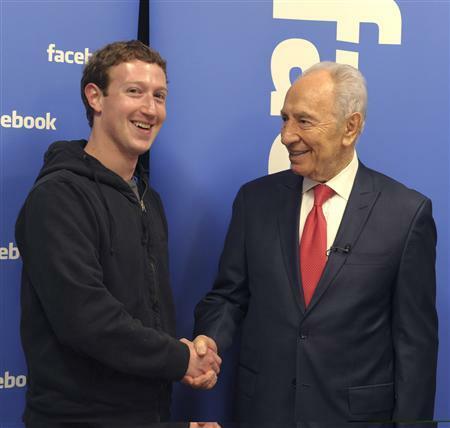 Zuckerberg practices the rhetoric tricks of Talmudic pilpul to evade answering the questions asked. the CEO either doesn’t know what’s going on at his company or ? drunk as commanded by the Talmud? of Jesus the Christ as one’s Savior. Mark Zuckerberg with the late, Szymon Perski (aka Shimon Peres). Zuckerberg with Benjamin Netanyahu, the father of ‘the war on terror’. Chabad connection shows up again. Will Zuckerberg’s daughter ask her god to “Pour Out Thy Wrath” on the goyim? 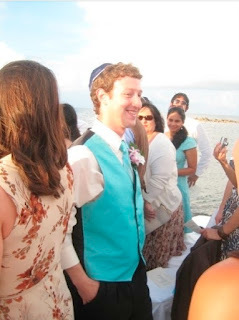 around his head for Yom Kippur? The usual nonsense from the various social media companies has started up once anew. It's very important you understand how they steal data on you, the scope of that theft, and why it matters along with why you not only didn't consent you can't consent. Let's say you go to https://market-ticker.org and read some pages there. That's this blog, by the way. If you're new around here you will see a highlighted bar telling you that signing in will improve your experience. This is because if you create a (free) account and sign in you can customize how the system displays things (the control panel's options are quite-extensive), you can ask it to notify you if topics you're interested in get new user comments and more. If you sign in you would assume (and the TOS tells you) that the system will store a "cookie", which is just a numeric identifier, on your machine. That's how it knows who you are when you click a new page, or when you come back to the page later. Why is this important? Because any access to a page on the site for which the cookie is valid will have the cookie sent with the request, no matter what page you are accessing on the Internet, and in addition the exact URL you visited is also sent that generated the request. What's important to understand is that the site you're reading does not generate that request -- your browser does. Your browser gets a line that says "<script .....>", "<img ....>" or similar and it sends a request for that resource to the specified place. In the request is the source page (where the request came from) and any cookies your browser has that are valid for the address to which the request is sent. 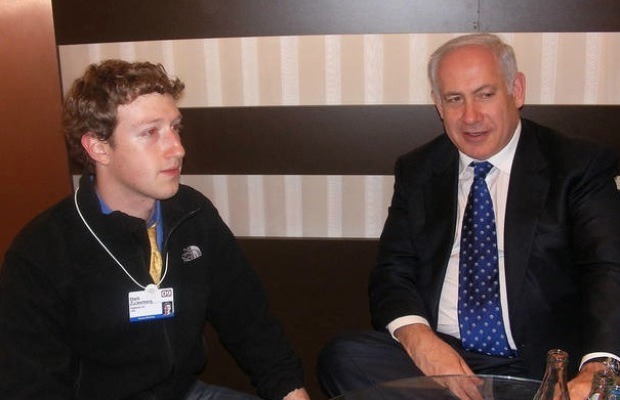 Now here's the important part: If I have signed into Facebook at any time in the past from that device then the company has stored one or more cookies on my machine that uniquely identify me. Since the request to Facebook's servers match the place where the cookie came from they now get the exact article I was reading and my identity even though I did not sign into Facebook to read the article. I have given no consent to this, I cannot opt out of it and every single place on the Internet that has these buttons and/or sign-on boxes causes this to happen. You can defend against this by clearing all your cookies every time you use your computer, which will cause new cookies to be generated for each visit, but few if any people will. Never mind that on a phone this happens too and there they can often determine at least coarse location without even having a "location" permission turned on (simply by what network and IP you're on.) Note that many so-called "apps" are really not much more than a "front" for web accesses to special URLs that know how to parse what comes back and thus obey the exact same conventions regarding cookies. This sort of "data mining" needs to be prohibited as a matter of criminal law. Fines will do nothing as they are simply a cost of doing business. Instead, any firm that does this since consent is impossible must have their corporate charter revoked and their entire board tossed in prison for gross and outrageous invasions of privacy and personal rights. But -- doing that would shrink Facebook's data stream to a tiny fraction of what it is now and basically all of its market cap exists only because it can and does personally profile anyone that touches any resource that uses its "like" or sign-on functions and sells that. This "business model" is nothing other than an outrageous invasion of privacy, it occurs without your consent, you'd never consent to it if you did understand it fully and exactly how-accurately they can measure everything about you and you get directly screwed by various firms as a result to the tune of hundreds or thousands of dollars a year. My reason to believe the latter? Their ARPU could not possibly exist unless you're getting hosed for at least 10x that amount, since most "advertising" does not in fact drive behavior and is worth zero. The small percentage that actually results in a conversion (sale) thus must support the entire ARPU generated or their business instantly collapses. Folks, cut the crap ok? Incidentally, that is not the default for Chrome and other browsers. Gee, I wonder why? Who runs all sorts of third-party ad networks again? But that aside this doesn't work. The reason is an HTTP field called an "Etag." Etags, along with expiration dates and "If-Modified-Since" allow a browser to quickly check with a host whether or not content has changed, without re-downloading it. Let's say you get an image on the web. Later, you go back to the same page and the same image is there, since it has not changed. If the image is still in your cache it is very wasteful to send the whole thing again -- which could be several megabytes. Instead, if it hasn't changed, you can just display what's in the cache. Well, to know that, you need to know if the resource changed on the server end. There are two ways to do this -- using a date stamp, and using what's called an "Etag." The latter can be attached to any resource, although it's usually attached to images. The server sends down an Etag: field with the image in the HTTP headers, which is an opaque identifier. In other words, from the browser's point of view it does not care what the string is; it doesn't represent a time, date, or anything other than a promise from the server that it shall change if the content has changed and needs to be re-sent. If this sounds like a cookie that's because it can be abused to become one, and you cannot shut it off unlike cookies! So let's say you disable third-party cookies. Fine, you think. Nope. I have a "Like" button. Said button has an image. That image is the finger pointing up, of course, and you must transfer it at least once. I send an Etag with it, but instead of it being a change index it's unique to you! Now, every single time you request the button you send the Etag for the image. If it hasn't changed (and it basically never will, right -- it's an upturned finger!) I send back "Not modified". Except.... I just pinned to you, personally, that access to the page and you have third-party cookies turned off! So I send back "Not modified" but you just told me who you are, what web page you were viewing, and your browser ID and IP address. I get all of this for every page you visit where such a button or function is present even if you never use it. Oh by the way this works with beacons of course, since they're 1-pixel transparent images. And no, I wasn't the first to figure this one out many years ago, and it's been known and in active use on the web for a long time. The premise that blocking third-party cookies prevents these folks from being able to figure out who you are and what arbitrary web content you are viewing is false! Nice switch Mr. Browser writer, too bad it doesn't solve the problem! What this means is that you can be tracked specifically and individually, as you personally, with knowledge of who you are, where you are, when you clicked it and exactly what page you looked at, whenever you visit a page that has any such thing on it without your knowledge or consent should any such resource be included in that page. It is inherently part of the web server's logs that the owner of the page you visit gets your browser ID, IP address and what you viewed. But what you probably didn't know and certainly did not consent to is that through very trivial abuse any resource that comes from some other web property -- a like button, a sign-in option for other than a locally-stored account, even an ad can cause your system to obtain, store and regurgitate a unique identifier specific to you and your device whenever that resource is encountered, anywhere. As soon as you do anything that links that identifier to you as a human that relationship is then known and never lost. Indeed it can happen retroactively in that the tag can be generated one day and then days, weeks, months or even years later you might provide the missing component (your identity) on some other page that contains the same resource. There is no way for you to consent because it happens before you can possibly know it will and thus you can't give consent. You also can't know in advance where else that "capturing" system for your presence might be operating. It works exactly like a third-party cookie except that you cannot shut it off other than by operating system (or firewall) blocking of the entire domain or IP address involved or by clearing all cached data on every access, which is extraordinarily wasteful. If you're on an Android phone or an iPhone, since both prohibit editing the /etc/hosts file that would otherwise make blocking such possible without too much trouble (e.g. through "Adblock") you cannot reasonably interdict this at all on the stock browsers. You also cannot block this on desktop or tablet browsers without severely damaging your browsing experience. Specifically, while you could conceivably load an extension to block all Etag headers doing so would probably get you blackballed on many sites (it sure would here and probably automatically as the system would consider it abuse!) because doing that would result in your data transfer requirements from the site skyrocketing as every single image would have to be sent on every access even if you already had an unaltered copy in your local system's cache in memory or on disk. Facebook's entire business model relies on this. 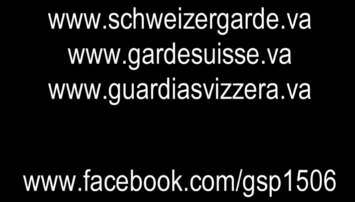 That is why they "offer" their sign-on system to newspapers, blogs and other web sites all over the world. It is also why they have their "like" buttons everywhere. It is through those "features" that they track everything you do online, even if you don't have an account with them, and all of that tracking processing and sale of whatever they learn of your personal life is done without any consent because it is not possible to consent to what you're not aware of in advance. This is why the only solution to Facebook's data mining, and they're not alone in this (and yes, it has to apply to all of these firms and those yet to come), is legislative. This sort of activity -- collecting anything from those places where "like" buttons or any other third-party content is placed, or where sign-on credentials are used, and where that data is either used to inform decisions (e.g. advertising) or sold must be considered a felony criminal offense punished with the revocation of corporate charters and indictment of every officer and director of the firm involved. I could trivially commit this sort of abuse, by the way, on The Ticker. It would require a hell of a lot of storage, but it would be easy to do. I don't do it because it's wrong. Others don't give a crap if it's wrong. 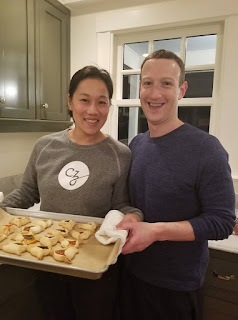 Zucker****er is one of the worst. His latest missive is especially damning, in that it deliberately omits the fact that Obama's 2012 campaign used such data mining. He didn't object then because they wanted the Democrats to win. Note that he takes no credit for that, nor does he accept blame. He simply lies by omission. No, you can't fix this by not having a social media account personally since you don't have to sign in for you to be tracked and the tracking not only happens on the site in question it happens anywhere connections to that site are found such as images, buttons or other related functionality. For this reason the problem can only be fixed legislatively or if all of said firms are driven out of business due to mass-revulsion by the people -- either way the only fix is if pulling this crap is an instant corporate death sentence right here, right now.